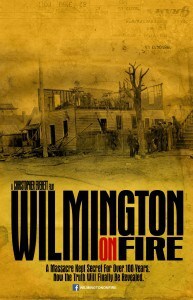 A new film, Wilmington on Fire, will give a historical and present day look at the massacre of 1898 from the perspective of the African-American victims. The film features interviews from historians, researchers, activists, authors and direct descendants of the victims of the massacre. 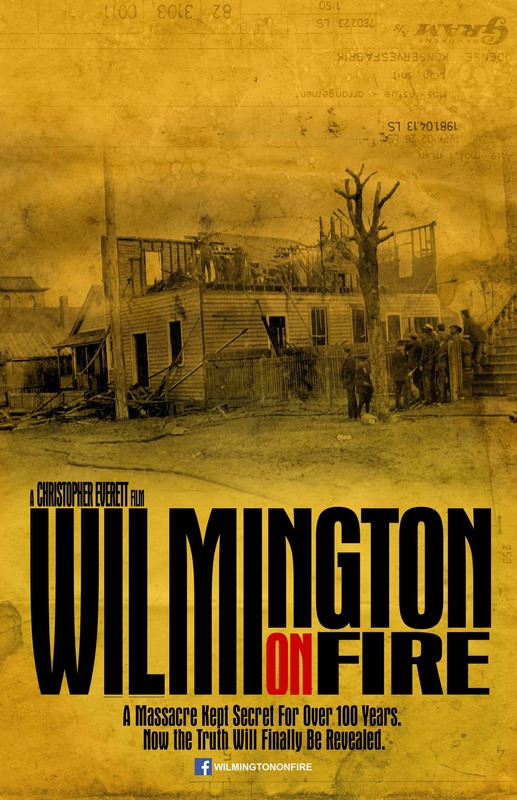 The Wilmington Massacre of 1898, often cited as a riot, was an actual bloody attack on the African-American community by a heavily armed white mob on November 10, 1898 in the port city of Wilmington, North Carolina. It is considered one of the only successful examples of a violent overthrow of an existing government and left countless numbers of African-Americans dead and exiled from the city. This event was the spring board for the White Supremacy movement and Jim Crow segregation throughout the state of North Carolina and the American South. “With the importance of this story needing to be told, we felt there was no better time than now to capitalize on the popularity of crowd funding by launching a Kickstarter campaign to fund the completion of the project. No one has ever done a documentary on this subject the way that we have done it. People are excited about this film and can’t wait to see it but that’s why we need everyone to become a backer so we can complete the film and bring it to life.” – said Christopher Everett, Director and Producer of Wilmington on Fire. The campaign started on December 2, 2013 and will run for 30 days. Speller Street Films hopes to raise $16,000. The money will be used to complete editing, graphics, color grading, sound mixing and archival material fees. Kickstarter is an all or nothing deal so if they don’t reach $16k in 30 days, they will get no funding at all. All donations must be made by January 1, 2014. Speller Street Films is a film production company that specializes in music videos, commercials, promotional ad campaigns, narratives and documentaries.